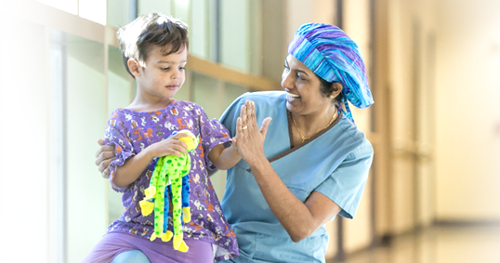 Dell Children’s believes that cost shouldn’t stand in the way of getting the healthcare you and your family deserve. We work closely with patients and the community to offer options that work for all different types of situations. Children’s Health Express is a mobile clinic that brings necessary medical services to those who need healthcare the most. Routine care, like immunizations and sports physicals, is available from a number of different school sites. Although not a direct insurance provider, Insure-a-Kid is an organization that helps parents apply for low-cost health insurance. Offering this service helps more families understand the choices that are available to them when it comes to insurance coverage. Families can apply for affordable health insurance through Dell Children’s Health Plan. Dell Children’s Health Plan offers both CHIP and STAR health insurance programs, helping children and expectant mothers fin a health plan that works for them. Seton Health Plan changed its name to Dell Children’s Health Plan on December 1, 2016.